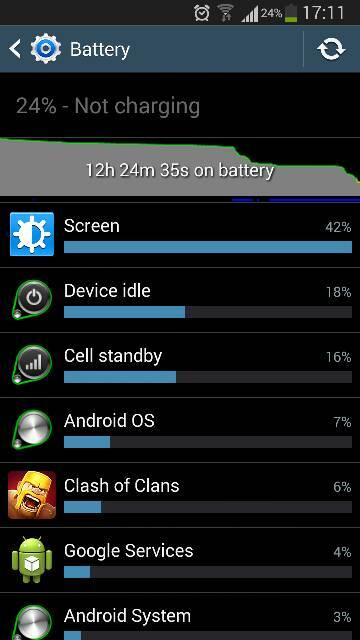 Why does the battery of my Galaxy S3 drain like crazy? 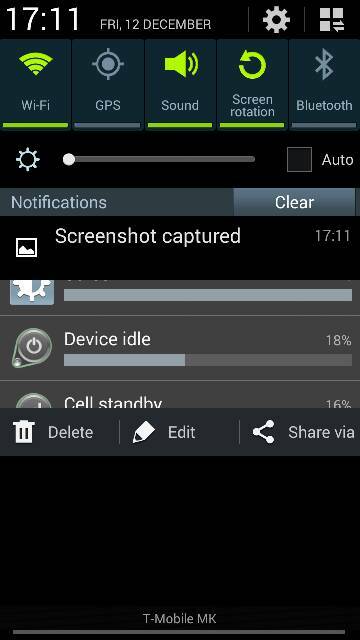 Go to Settings>Battery and take a screenshot, we need to see what is draining the battery.Do it when the battery has like 20% left. I'm almost sure it's a bad battery if it drains like that even when the phone is completely turned off, you should try another battery and see if it behaves the same. Or charge it to 100%,and remove the battery. Then see what it says the charge is after several hours. Why is my battery life on my Samsung Galaxy Tab4 10.1 so terrible? Why does my Vodafone N985 keeps exiting it's sd card?